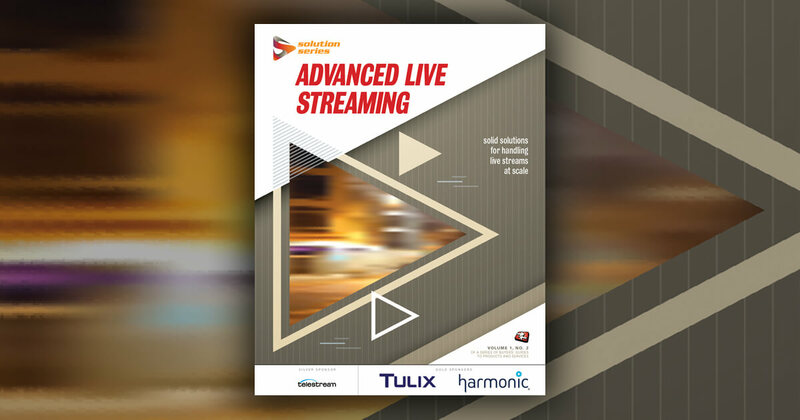 Learn more about webcast delivery at Streaming Media's next event. Watch the complete video of this panel, DT202B: Live Streaming Meet NeverLate: Reinventing an Approach to Webcasting, in the Streaming Media Conference Video Portal. Michael Kolowich: Where is the pain then in traditional multimedia live casting? Well first is universal access, particularly mobile access. A whole lot of multimedia streaming was until recently frozen out of Apple devices simply because they didn't support Flash. Sometimes downloadable apps were required in order to show video along with other interactive elements and so on. Second is provisioning and setup. To be frank, video webcasts have been really complicated to set up and run. Third, a lot of platforms support only static slides and not animations. Fourth, the typical webcasting platform doesn't support late changes. Somebody comes in with, "Okay, I have all these new substitute slides," and I said, "No, no, we can't make any changes." Some webcasting services require that your slides be locked and loaded the night before. Fifth, late-arriving viewers are out of lock. They haven't had a choice up to now to go back in the stream and watch from the start. They're stuck with trying to figure it out from going in the middle. Sixth, the webcast viewers are often busy people, they get interrupted, they miss stuff. Seventh, the layout and therefore things like the relative size of video and images have typically been fixed. Sometimes it's 50-50, side by side; sometimes the video is a little thumbnail, picture-in-picture, whatever. This doesn't take into account the fact that, as you're going through a multimedia webcast, sometimes the attention should be on the images and sometimes those are very detailed images, sometimes the attention should be on the speaker. Which leads us to general layout flexibility. A fixed layout doesn't always fit the use case of a webcast. Here is another one. How often have you heard that the archived version of a live webcast would be posted tomorrow? It shouldn't take that long. And then finally the expense. I talked about that earlier. Simply speaking, running a video webcast shouldn't be as expensive as it is. These pain points have led to what I call a manifesto for next-generation live casting that follows the pain points. Mobile access to the full multimedia experience should be as easy as viewing on the desktop, in a browser, with no downloadable app. It should be relatively easy to set up and run, including the video. It should support the full range of presentation animations. It should take the stress out of late changes to the slide deck. Here's a big one. Viewers, when they arrive late, should never miss out on material. They should be given the option to go back to the beginning or view it in progress or anywhere in-between. I've often just arrived at a webcast and said, "Oh gosh, I missed the first 12 minutes here, I'll wait for the on-demand version." And then I never get around to it. Hand in hand with this is that the experience should be DVR-like: pause, instant replay, if you missed and wanted to review a point, the ability to jump around. And as you do that, everything should stay in sync--all the slides, all the footnotes, all that stuff. That means that the structure of the program--essentially, the agenda--should be exposed and visible and navigable. Viewers should be able to jump back to specific sections of the material. A livecast should not necessarily be a couch-potato experience; it should be an opportunity to engage. Interactive features like downloadable handouts, reference notes and links, tell-me-more links allowing you to kind of pause and kind of get an explanation or see the source of a chart that's being displayed, along with polls and quiz questions, etc., should all be supported. The online version should instantly be available, no overnight delays. It should be there and available right away, and then give me analytics that are deep, viewer-specific, and real-time. Show me who's here, who's been here and left, how each viewer engaged with the material. I should not only be able to assess from my analytics how my content performed in general, but I should be able to identify which viewers engaged and which ones didn't. That's incredibly important everywhere from kind of marketing applications to things like compliance applications and training applications.